The iDeaUSA V207 comes in a hard carrying case along with some accessories like a micro-USB charging cable, audio cable, and an airplane adapter. The V207 doesn’t have a high-end design since they don’t use luxurious materials on the headphones. However, the design doesn’t look boring at all, especially with red accents around the earcups. 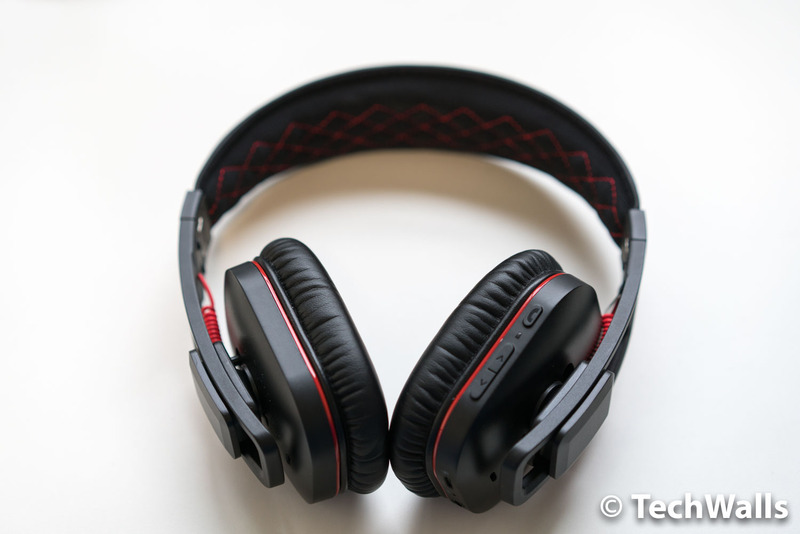 Besides, you can slide the earcups on the frame to adjust the headphones to fit your head. The earpads are quite soft and spacious, so I feel so comfortable wearing the headphones for a long period of time. Another advantage is the battery life which is rated at 14 hours in a single charge. I often have to recharge the headphones every 2 weeks and that’s quite impressive. I also tested the noise cancelling feature. It can be enabled by pressing a button on the right earcup. The feature can’t completely block ambient noises but it can get rid of around 60% of those annoying sound. 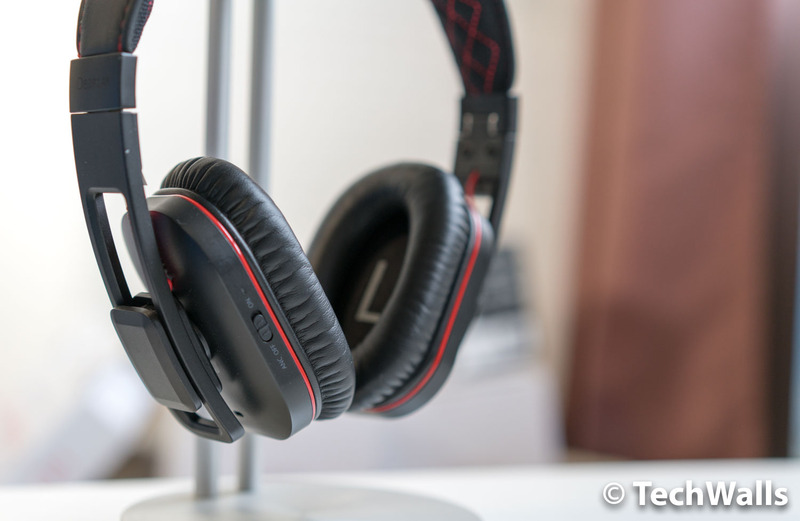 The headphones feature a V-shaped sound which is quite entertaining, especially when the mids are not so recessed. However, the bass is not so deep, so it often sounds muddy when handling sub-bass notes. I tested and compared the audio quality of the iDeaUSA V207 directly with my V-Moda Crossfade Wireless 2. The two headphones actually share many similarities and I was quite surprised with the iDeaUSA since it is way cheaper than the V-Moda. 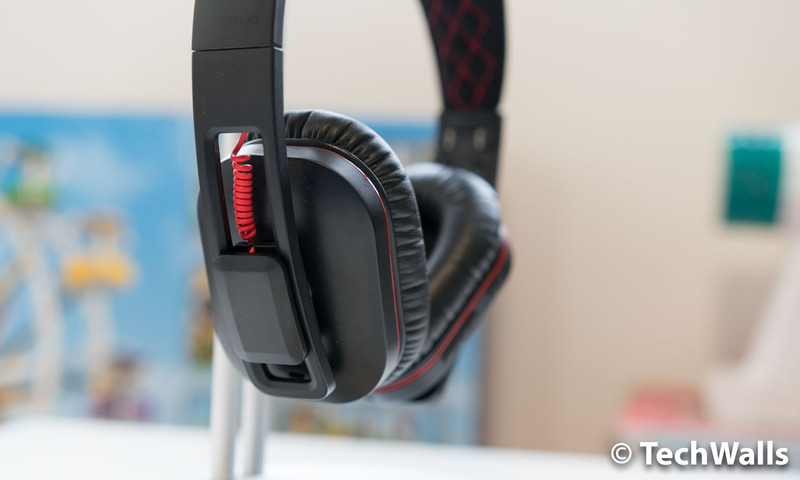 The mids on the iDeaUSA are even more present but they are not as smooth as on the V-Moda, so many people might find the mids a little harsh and aggressive. There is nothing to complain about the iDeaUSA V207. At the review time, it costs less than $70 but it sounds as good as some headphones in the $150-$200 price range. The manufacturer has made high-quality wireless headphones affordable, therefore, we at TechWalls highly recommend the product. Really good wireless headphones for the price. IDEAPLAY iDeaUSA V207 are really good wireless headphones at this price point I have ordered it hope that they work fine! Thanks for the review it really helped me in finalizing my purchase. I really loved the red and black combination on IDEAPLAY iDeaUSA V207. I also wanted to know about durability and clamping force. Are they too tight near the jaws or easy to wear for long hours?